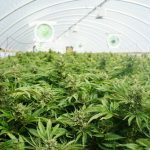 The New Zealand government introduced a bill into federal parliament last week that will establish a local medicinal cannabis industry. 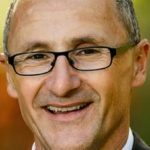 NZ health minister David Clark said that cannabis medicines could be available in 24 months if the nation follows Australia’s example. However, many NZ medicinal cannabis advocates aren’t too pleased with the idea of following the example of their neighbours across the ditch. But, 22 months on, it’s almost impossible to access legal medical cannabis in Australia. A total of 22 licences have been issued under the scheme as of August 31 2017. At that time, the Office of Drug Control was considering 56 other licence applications. And yet, there’s still no domestically produced cannabis medicines available. The Department of Health’s website outlines that even with the issued licences, “it will be some time before domestically produced products are available to the public.” So, Australian health minister Greg Hunt announced a fast track importation scheme last February to make up for the shortfall. But, over half a year since the importation scheme kicked in, less than 200 Australians can actually access legal medical marijuana products. This is out of an estimated 100,000 patients in the country that are using cannabis medicines to treat their conditions. Currently, there’s a bill before the lower house of parliament that’s designed to prevent the federal government from blocking fast access to imported medicinal cannabis for the terminally ill. The Turnbull government has twice blocked this access for the dying since November 2016. The Ardern government introduced New Zealand’s medicinal cannabis bill on December 20. And some of the provisions that have been announced seem quite progressive compared to the measures that have been established in this country. 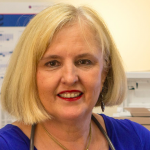 Unlike Australia, where a doctor has to first apply to the Therapeutic Goods Administration (TGA) before prescribing medical marijuana to a patient, in New Zealand general practitioners will be able to write a script for patients without having to seek approval from the NZ Ministry of Health. And while terminally ill Australians are being denied rapid access to imported cannabis medicines via a TGA scheme set up for those with limited time left, the NZ bill allows terminally ill patients to use illegal cannabis without fear of prosecution, while the local industry is set up. But, local medicinal cannabis proponents are concerned the NZ bill doesn’t go far enough. And they’re hoping to see Green Party MP Chloe Swarbrick’s member’s bill passed as well. This legislation provides amnesty to a wider range of patients, along with a number of other provisions. Rebecca Reider has been at the frontline of medical marijuana advocacy. 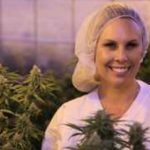 She became the first New Zealander to legally bring medicinal cannabis into her country, when she publicly walked through Auckland customs with an ounce of it in August 2016. Sydney Criminal Lawyers® spoke to Ms Reider, who’s been living with chronic pain for the last 12 years, about the shortfalls of the NZ bill, the legal loophole that allowed her to enter the country carrying medical marijuana, and the medicinal cannabis industry in California. Firstly, Rebecca, the Labour party introduced the NZ medicinal cannabis bill last week. You’ve been a long-time advocate for cannabis medicines. How do you feel about getting to the stage where your country is planning to set up its own industry? It’s really exciting to get to this point. Obviously, we’re not excited about all the details the government has put forward. But, we think we can help them do better. In terms of getting to the point where we finally have a government that’s ready to set up a New Zealand cannabis industry is fantastic. Up to this point, we’ve only had access to imported products. The cost has been insane, and out of most people’s reach. And the available product has been mainly Sativex, I believe? Yes. Sativex has been the main one. More recently, some patients have managed to apply to the government and get permission to import near-pharmaceutical products from Canada. But, once you import something, it still becomes ridiculously expensive. It sounds like Australians have found that out as well. Looking over from Australia, what’s being proposed in NZ seems quite progressive compared to some of the measures we have over here. For instance, terminally ill patients with 12 months left to live will be allowed to use illegal cannabis in the interim period while the local industry gets up and running. What do you think about this provision? To be honest, most of us think it’s ridiculous because it doesn’t go far enough. It’s a really good start. And we’re glad the government put that in there. Because, the provision acknowledges that people need immediate relief. But, the problem with it is, how do you know somebody really is in their last 12 months of life? And there are also lots of people suffering who aren’t in that condition. And shouldn’t they all be getting amnesty too? A key principle of the rule of law is that laws apply equally to everyone. We all have the same human rights. It makes no ethical or legal sense to protect patients from prosecution only in their purported last year of life. Medicinal cannabis users in the community are up in arms over that provision. And I think it’s going to prove a real sticking point for the government. Because it allows people to escape prosecution if they are using illegally, but, we have this whole network of people who supply medicine compassionately to patients in those situations. And all those suppliers would still be up for prosecution. A lot of them are being put through the courts right now. So, it’s quite a hot issue at the moment. It’s a good start. But, we need amnesty for all medicinal users and amnesty for their compassionate suppliers as well. There’s another piece of medicinal cannabis legislation before the NZ parliament: Green MP Chloe Swarbrick member’s bill. And it seems more encompassing. What does this bill provide? And what’s your opinion on it? That bill would legalise possession of cannabis and cannabis products for anyone who has a doctor’s recommendation for any relevant health conditions. And it would also allow the patient to cultivate their own cannabis within the regulated regime, or to nominate someone else to cultivate for them. So, that has a more all-encompassing human rights perspective, which most of us are asking the government to take. That bill didn’t propose a commercial model though. So, a really good solution would be to look at passing both bills and integrating them together. Because the government wants to set up more of a commercial regulatory scheme. But, we also need the human rights protections as well. So, looking back at the government’s legislation, what are some other concerns you have about it? A lot of it is just not known yet. They say they’re going to set up an advisory committee to regulate the industry. And that’s a really positive step. But, we don’t know whether they’re going to go for pharmaceutical standards, or it is going to be something that allows artisanal, small-scale production of herbal medicines, which is what most of us want. There’s a big question mark right now. So, it’s hard to really critique it thoroughly, as a lot of the details are yet to be revealed. Another positive thing that the government bill is doing, is that CBD will no longer be treated as a controlled drug. That’s significant. But, at the same time, we don’t know the details of that either. Is it still going to be a prescription-only medicine? We think that’s really over the top, because it’s sold over-the-counter in other countries. So, will it be sold over-the-counter here? The details of how CBD will be available are still up in the air. In November 2015, you were arrested for sending imported cannabis-infused chocolate to yourself in New Zealand. And in February the following year, you appeared before Nelson District Court on importation and possession charges. What was the outcome of your trial? I had five or six charges against me. But, the judge chose to discharge me without conviction on all charges. It was obvious that I had done something illegal. But, the judge decided to take a compassionate stance. I had a legal medicinal cannabis recommendation from my doctor in California that I had used to purchase the products that I sent to myself. 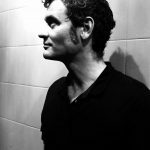 And part of the intricacy of my case wasn’t just that I was a medicinal user, but also, my attorney found a clause in the NZ Misuse of Drugs Act that said someone can import on their person a controlled drug as long as it was lawfully supplied overseas for the purpose of treating a medical condition. Now, I had posted the cannabis chocolates to myself, rather than bringing them in. So, I had still done something technically illegal. But, when the judge was presented with that clause he said that what I had done was so close to being legal that he was willing to discharge me. Later that year, I decided to test that clause in the law. So, I went to Hawaii and got legal recommendation from a doctor there. And brought cannabis back legally into New Zealand and was allowed to do so. So, you actually brought an ounce of medical marijuana through customs? I brought an ounce of buds, and also, some concentrated cannabis oil as well. And they just smiled and nodded basically. It was this weird situation. I was the one person in New Zealand for a little while with legal cannabis, which I found uplifting, but also ridiculous. And then the New Zealand government actually moved to block people from doing that later on. So, I’m still trying to get the government to open that back up. 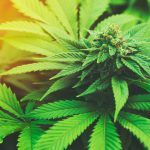 Considering the mounting evidence regarding the benefits of medical marijuana, why do you think authorities in countries like Australia and New Zealand continue to be so restrictive about its use? I wish I knew. There’s a lot of misinformation. When the prohibition of cannabis originally started in the US, it was actually opposed by the American Medical Association. Back in the day, less than a century ago, doctors thought their patients should be free to use cannabis if they wanted to. But, this whole US government brainwashing – telling people that this was this dangerous, awful substance – spread around the world. Unfortunately, this reefer madness attitude is still here. And that’s the real addiction that completely plagues the medical profession, as well as lawmakers that we have to get through. You’re from California. The medical marijuana industry over there started operating in 1996. How successful is the Californian model? And does it allow for more homegrown, or whole plant products? The California medical marijuana program has been successful. There’s a huge variety of products available for patients. And patients can grow their own, or have someone grow it for them. If you’ve got a serious medical condition, or a particular issue that means you need a higher number of plants than the usual, then you can apply for that. But, there aren’t super restrictive amounts. Patients are allowed to grow generous amounts. It’s just treated as normal to have a pretty liberal regime around it. It’s treated as a herbal medicine that anyone can access if they need it. So, it’s been quite surreal when I travel between New Zealand and California. It’s like travelling between two different worlds. In the US, it’s becoming quite accepted and normal. And lastly, you’ve seen the industry in the US, and you’re also aware of what is transpiring in Australia. Do you think a more innovative industry will be set up in New Zealand, compared to what we are seeing at the moment in Australia? I hope so. I don’t know all the details of what’s happening in Australia. But, from what I hear its sounds pretty disastrous in terms of patients’ rights: the medicine is being grown, but people aren’t accessing it yet. New Zealanders love to be competitive with Australians, so we’re hoping we can get our government to look at what is going on in Australia, and learn from the mistakes that are being made. And also, see if there is anything that we like and is being done well. Let’s learn from the global experience, rather than replicating failures. Rebecca, thanks very much for taking the time out to have this chat with us today.